I'm finally done exams! In case you were wondering why I've unfortunately been inactive on this blog, I had a ridiculous exam schedule and had to move out of residence. All is completed and I am finally moving on to second year! So to start my roll of summer blog posts, here's what I found on the interwebs this week! 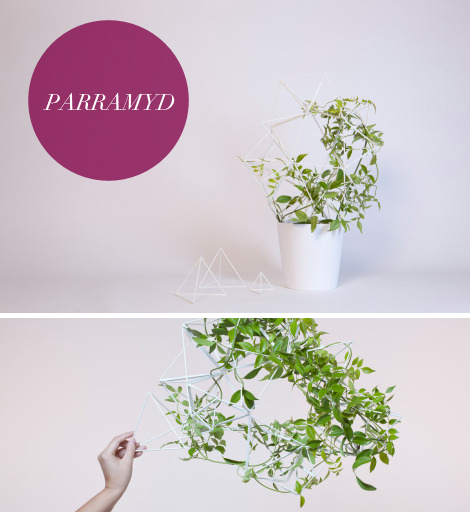 "PARRAMYD is a modular system consisting of pyramidal elements that connect to each other. Thus, creating a structure that guides the way a plant grows. The elements come in two different sizes and its use is very intuitive." This would look great in an indoor garden!